As a beer drinking British geek I have one not-so-secret vice. Driving up from San Diego to the Bay, we stopped off in Paso Robles for a quick visit to a handful of wineries. We made to one of our favourites, Justin, just in time for lunch, and sat out under the old oak trees with a sandwich, some cheese, and a glass of their always excellent Sauvignon Blanc. 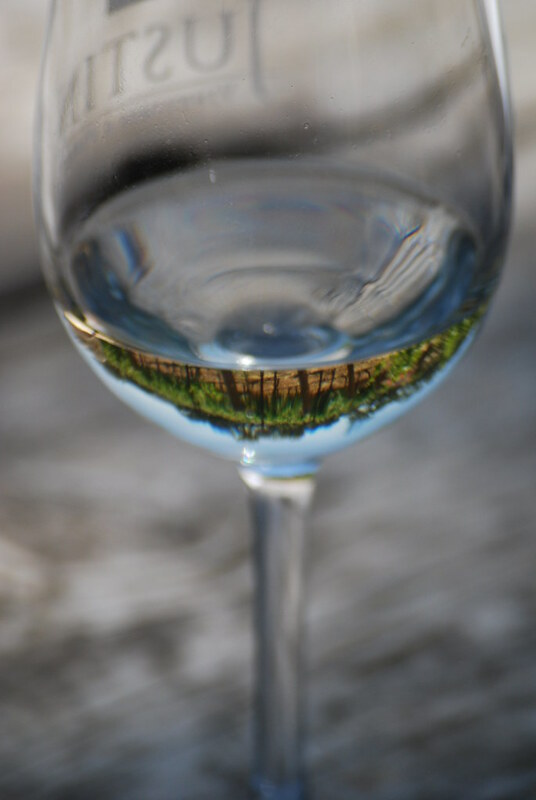 As we sat there, marypcb noticed a reflection of vines in her glass. Of course that led to a photograph.